Mr. Robinson is a graduate of the Oklahoma City University School of Law, where he received a Juris Doctorate with Honors in 1981. While in law school Mr. Robinson was the recipient of four American Jurisprudence Awards for academic achievement and was named the West Publishing Company/John D. Berry Student Most Likely to Succeed in the Practice of Law. He was named to the Order of Barristers and the National Moot Court Team. Mr. Robinson's class standing was 3rd of 193. Mr. Robinson studied International Relations at the University of Geneva, Switzerland and received a B.A. in Sociology and Urban Studies from Yale University in 1972. Before establishing his own practice in 1984, Mr. Robinson was an associate at Andrews Davis Legg Bixler Milsten and Murrah in Oklahoma City. 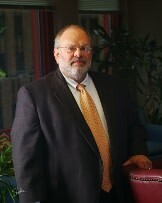 Mr. Robinson is a member of the Oklahoma Bar Association's Military Task Force. He is admitted to practice before the Supreme Court and all inferior courts of the state of Oklahoma, the United States District Court for the Western District of Oklahoma, the Muscogee-Creek Nation Tribal Court and the Ponca Tribal Court. Mr. Robinson's law practice is exclusively comprised of consumer collection litigation, and he is a charter member and past president of the Oklahoma City Commercial Law Attorneys Association. Mr. Robinson is a frequent speaker for continuing legal education seminars for attorneys sponsored by the Oklahoma Bar Association. He authored the revision of the garnishment statutes for the Oklahoma Legislature in 1995, and has authored other consumer collection legislation in succeeding legislative sessions.